Erika Cheetham was a writer, best known for her controversial interpretations of Nostradamus' writings. Cheetam earned her doctorate from Oxford in the study of medieval language and worked as a writer for the Daily Mail. 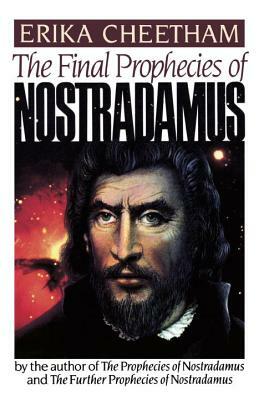 Her best known works are The Prophecies of Nostradamus: The Man Who Saw Tomorrow, The Further Prophecies of Nostradamus: 1985 and Beyond, and The Final Prophecies of Nostradamus.